This is how it begins. Addie Murphy is an architect in Dublin. She loves to swim in the sea, and as work has dried up in the recession she has plenty of time to indulge. She and her adored spaniel Lola are living in the flat in the basement of her curmudgeonly doctor father Hugh’s house by the beach because he has broken both his wrists and needs help. Her sister Della has other commitments – husband Simon and four small daughters – while Addie is single after a recent painful experience. The small circle is close, its members lively, devoted, intelligent, more than a little eccentric, and securely embedded in this corner of the Irish nation. Into their world one Bruno Boylan drops from out of the sky, in a plane arriving from America. It’s 2008, he’s 49 and like Addie he’s single. Moreover the implosion of his employer, Lehman Brothers in New York, has set him free at last to do what he’s always dreamed of which is explore his Irish roots for a while, at least until Obama wins the election. Yes, you guessed it, he has Hugh and his daughters in his sights and, yes, his arrival stirs things up no end in the apparently happy family. But is Addie ready to find love again, perhaps this time a love that will give her the fulfilment she deserves and enrich the rest of her life? As a long-standing news reporter with RTE (Raidió Teilifis Eireann, Ireland’s public service broadcaster) MacMahon is used to performing under pressure. She also springs from literary stock – her aunt Caroline Walsh was literary editor of The Irish Times and her grandmother was short-story writer Mary Lavin. Connections, they say, might get you the interview but only you can get the job. And though everyone concerned emerged triumphant, the process of getting MacMahon published was not entirely plain sailing. An earlier novel by her was offered at the 2009 London Book Fair by legendary agent Marianne Gunn O’Connor, but she wasn’t satisfied with the financial offers it attracted so she withdrew it, tantalizing the publishers. MacMahon’s next novel will be new, not the 2009 volume which is now apparently viewed by the author as something of a rehearsal or practice run. 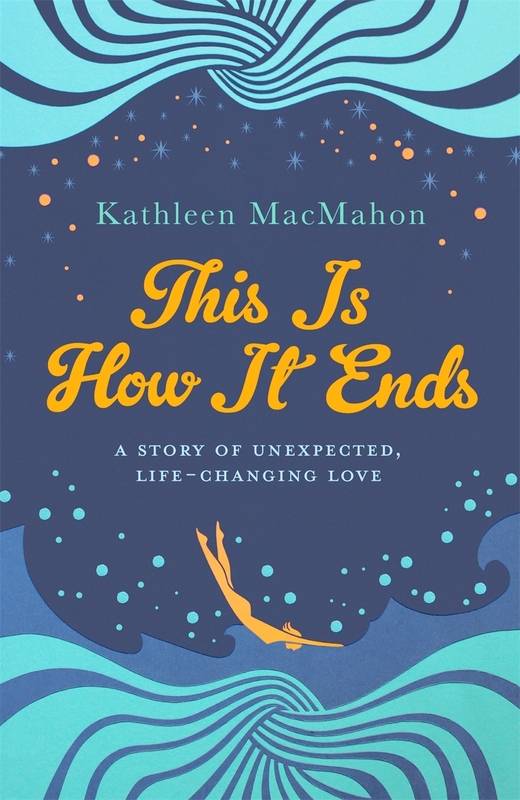 All credit to Kathleen MacMahon, This Is How It Ends is an absolute delight. It’s a page-turner, perfect for consumption over one rainy weekend, or indeed in one hungry day. All you need is coffee, a glass of wine later on, a box of hankies and a comfortable sofa. This is not to say that the writing is superficial – on the contrary, it’s spot on about the rich pattern of family life and the exquisite surrender and pain of true love. It’s tender without being sentimental, brim full of insight and wry observation that will make you smile and perhaps laugh out loud. It makes no apology for being a love story, delivering a depth and a monumental twist in the plot which make it much more than just a love story. All this in prose that is fresh and natural. 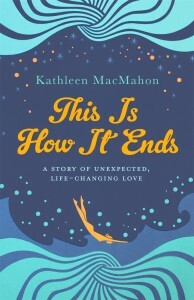 The hours you spend enjoying this book will be ‘time filled with the fragile magic of possibility’.